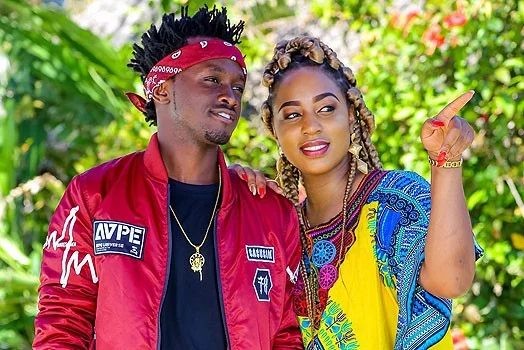 Home / Entertainment News / Why I packed my bags and left BAHATI, Diana Marua opens up on her marital woes with the Gospel singer. Why I packed my bags and left BAHATI, Diana Marua opens up on her marital woes with the Gospel singer. Wednesday, September 12, 2018- Diana Marua has revealed little known details about her marriage with gospel singer, Bahati, and how she nearly broke-up with him. She disclosed that she was fed up with the singer’s busy lifestyle that she packed her bags and left their matrimonial home for her own sanity. “Tangu nipate mtoi nafeel life yangu imestop. Juu unaangalia social media wasee walife yao inaendelea, me am just there with the Baby the whole day. I don’t even know myself. To be honest I don’t know what’s next.” She said. She went on to advice young couples or those planning to get married on the challenges of marriage. She wrote: “Relationships are not a bed of roses, at least from my experience. Social media can be quite deceiving at times because some people only highlight the best moments of their lives. No one shows you their downfall or the challenges they experience in this journey of life.